Hello lovely people! 🙂 I hope you all had an amazing Bank Holiday weekend! I LOVE granola but, I hate the amount of sugar it contains. And because of this I very rarely eat it. I have been having some horrific cravings for something recently but I didn’t know what. Then I realised, what I wanted was a big bowl of granola covered with greek yoghurt & blueberries! I go to the supermarket to get a bag of granola but every granola I like the look of has a ridiculous amount of refined sugar in. So I put it down. 5. 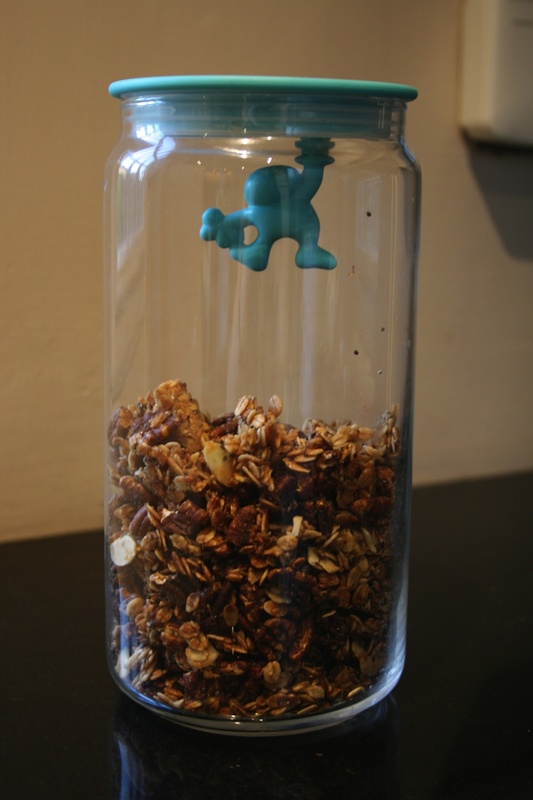 Take the granola out of the oven, add the flaked almonds and combine with the mixture. Pop the granola back into the oven for another 10 minutes – You need to watch the granola carefully as you don’t want it to burn! This is delicious. It has amazing texture and is packed full of flavour, but not too sweet. The pecans and maple work so well together! I am absolutely chuffed with how this turned out 🙂 You can have this for breakfast or even as a snack in the morning. The beauty about granola is you can top it with whatever you like! I always have my granola with Total Greek Yoghurt & blueberries, it’s my favourite combination. I really hope you enjoy this recipe! 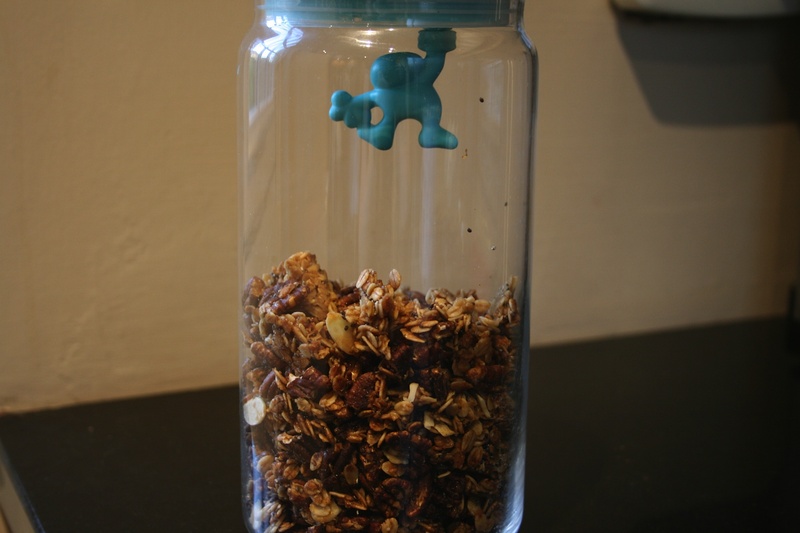 It is so simple and easy to make, you’ll never buy granola from a shop again! This entry was posted in Diet, Fitness, Food, Health, Lifestyle, Recipes and tagged almonds, blogging, blueberries, chia seeds, coconut oil, delicious, Gluten Free Oats, granola, healthy, healthy eating, homemade, Maple, new blog, pecan, Raw Maple Syrup, recipe, refined sugar free, Total Greek Yoghurt, Vanilla protein. Bookmark the permalink.